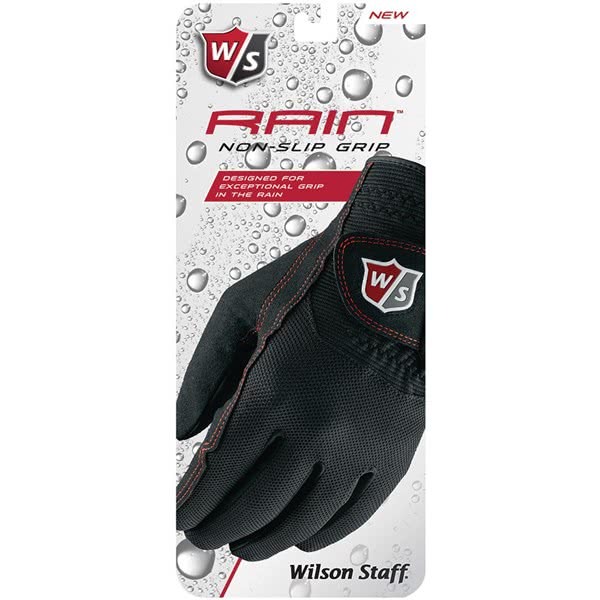 The Wilson Staff Ladies Rain Golf Glove has been made from a premium microfiber construction that offers excellent non-slip grip in wet conditions. This excellent and durable microfiber design gets more grippy the wetter it gets. 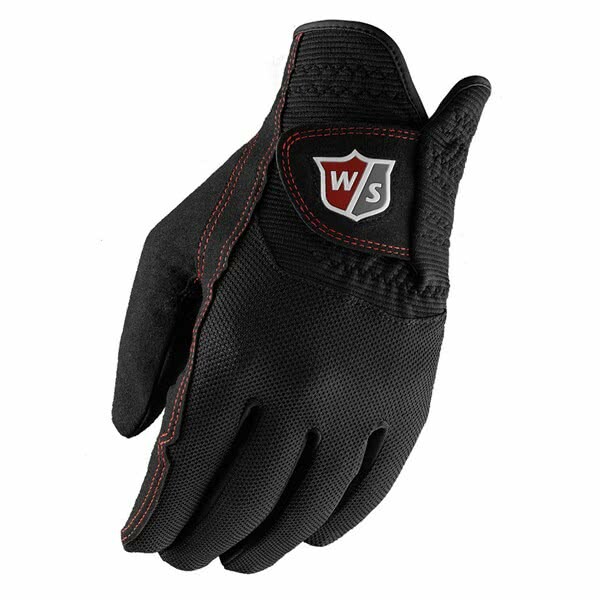 Wilson have then incorporated a mesh top that provides excellent moisture control and allows the hand to flex naturally for an improved and comfortable fit. Wilson Staff have used a Velcro closure design to provide a better, more comfortable fit than previous rain glove options. 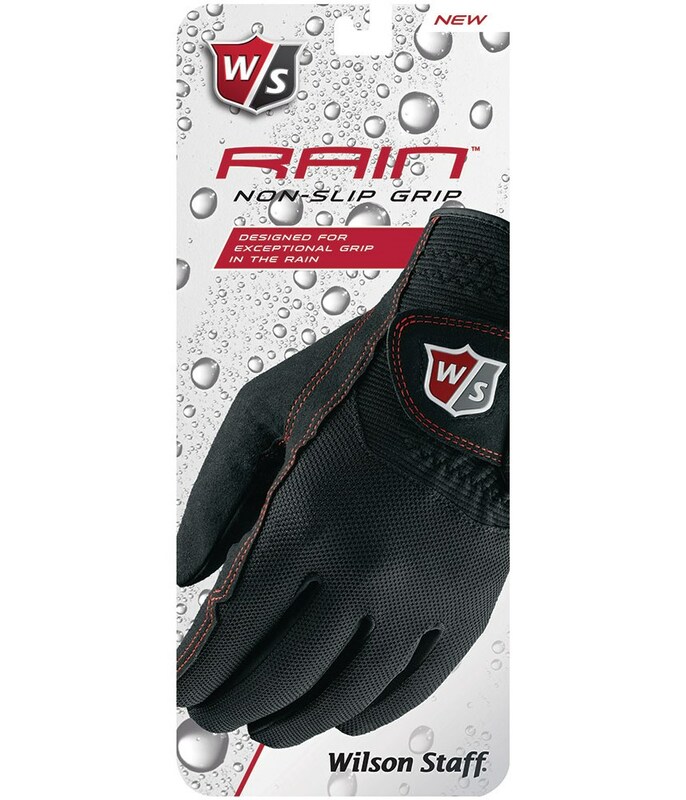 For an additional bonus, the fingers of the Wilson Staff Rain Gloves are touchscreen friendly. Multiple microfiber construction provides a no slip-grip in wet conditions. When wet, the grip tackiness increases. The wetter the gloves get, the better they grip!. 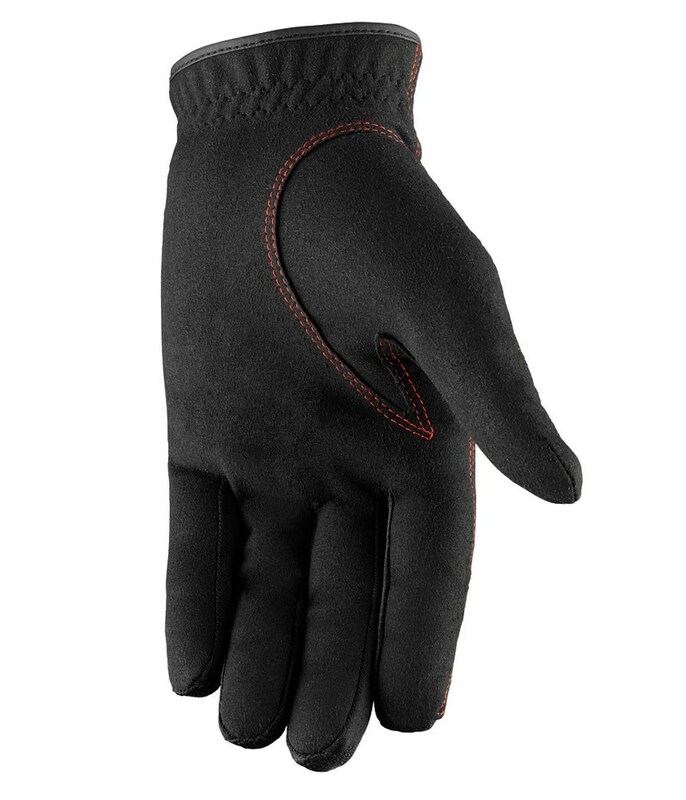 The moisture management mesh top allows the glove to ergonomically conform to the hand, while providing fast drying comfort. 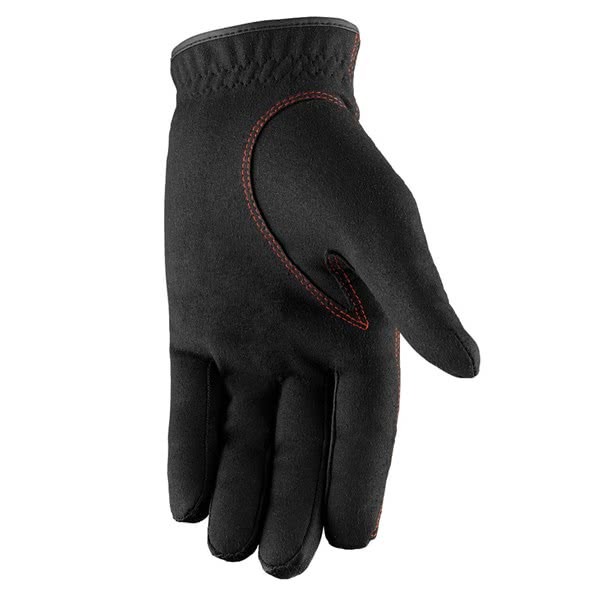 The synthetic palm offers long-lasting durability and comfort round after round. The Velcro® closure is optimized for better fit and comfort. Now with touchscreen friendly feature.